This Wiki is a special page that will help you to find all important facts about the game. 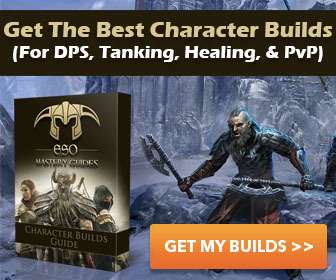 Elder Scrolls Online is an MMORPG. The action takes place in Tamriel – a huge continent with 9 provinces. The continent should be familiar to players of The Elder Scrolls series as it is made according to the previous games. So you will see many familiar things, however, all action in the game takes place 1000 years before Skyrim so expect some differences. The main antagonist is Molag Bal – a powerful daedric prince whose goal is to defeat the armies of Tamriel and conquer the continent. There are 3 factions in the game: The Aldmeri Dominion (represented by a bird of prey), the Daggerfall Covenant (represented by a lion) and the Ebonheart Pact (represented by a dragon). Each faction has 3 available races. So there are 9 playable races in total: Altmer, Bosmer, Khajiit, Orcs, Bretons, Redguards, Dunmer, Nords, Argonians. With each race connected to their faction. For more information a full description of each race can be found in the top menu. All 3 factions are locked in a war, and much of the action in ESO will have you fighting against representatives of other factions. So interesting PvP battles are guaranteed with the potential for massive battles involving all 3 factions. Each faction controls its territory which is connected to the central province – Cyrodill, which you should remember if you played Oblivion. Cyrodill does not belong to any faction but can be conquered and will be the focus point for PvP (or AvA as ZeniMax refer to it) within ESO. ESO has many familiar features from the TES game series, for example the first person mode. The inclusion of a first person mode is rare for MMORPG'S and certainly gives it that Elder Scrolls feel. But don't worry there is also a third person option. Another example are the guilds from TES series. You can join the guild and take special quests and gain unique skills. The main developer of ESO is ZeniMax Online Studios. It's a “sister” of Bethesda (they belong to the same owner). ZeniMax Online Studios was created in 2007, specially for Elder Scrolls Online. Of course nobody knew the goal of the studio until 2012, when the game was officially announced. That means they have been developing the game for 5 years already!